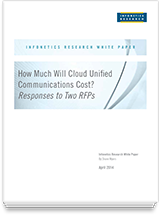 Compare Cloud Unified Communications TCO: Infonetics Research | 8x8, Inc.
How Much Will Cloud Unified Communications Cost? 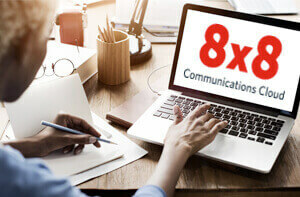 What Is the Cost of Unified Communications? How do you choose among business phone services and unified communications providers when it’s important to get the lowest total cost of ownership (TCO)? Should you turn to a cable provider for your business communications? Or to a regional phone company? Or is there a better choice? Independent analyst firm, Infonetics Research, cuts through the hype with two requests for proposals (RFPs) that give you the bottom line. Which proposal had the lowest TCO? What should you look for? 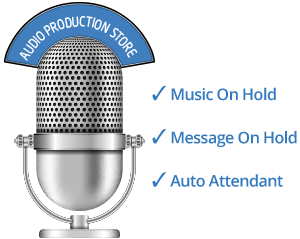 What about extras like contact center capabilities? How can you reduce your one-time costs and monthly charges? Compare detailed RFP responses from multiple providers. Tip: Be sure to see page 8 for the one thing Infonetics Research says cloud providers must have to stand out.